Blackberry Little Black Prince is the worlds first compact thornfree Blackberry available on the UK market. 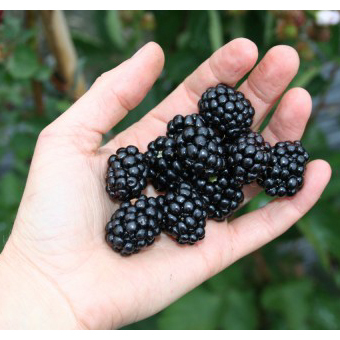 Its stunning medium-sized, glossy, black blackberries are sweet and have a refreshing acidity when fully ripe. This variety can be grown and harvested simply and without problems in small spaces, in the garden, on a balcony or terrace, and they grow to no taller than 1 metre when fully mature. Healthy plant, very well packed, arrived in 48 hours. Very impressed. Can't wait to get it planted. Many thanks.